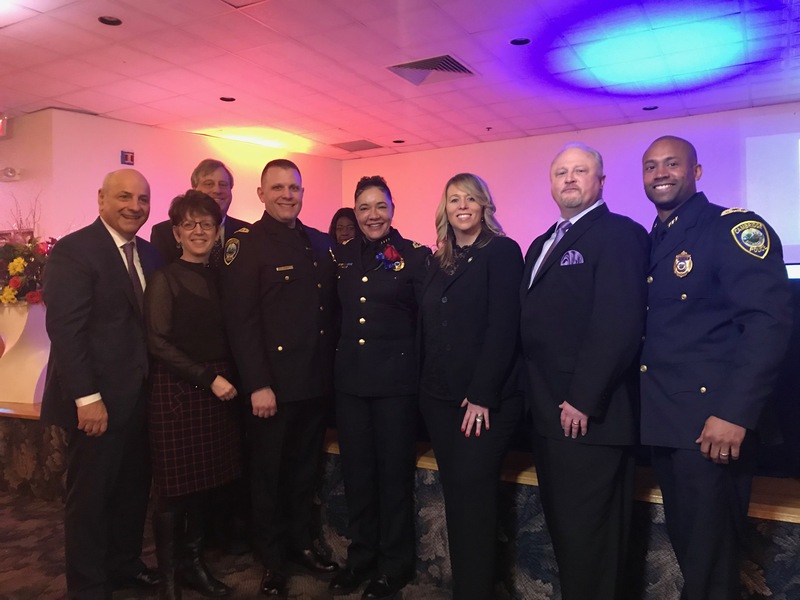 Cambridge Police Superintendent Christine Elow was one of six women recognized at the 2019 Dr. Martin Luther King Jr. NAACP Brunch at the Christian Life Center on Saturday. The 33rd annual event honored the life and legacy of Reverend Dr. Martin Luther King, Jr. and recognized today’s social justice leaders in the community with a special tribute to women. Superintendent Elow was joined by Honorable Helen Brown Bryant, Callie Crossley, Dr. Aprille Ericsson, Maria Dominguez Gray and District Attorney Rachael Rollins. The keynote speaker was Congresswoman Ayanna Pressley. Residents interested in watching this special event can find a replay at https://www.facebook.com/cctvcambridge/videos/559687381214648/.